Glass tiles are an affordable but high quality option that can be used in a range of applications around the home including bathroom walls, kitchen backsplash and even the swimming pool. Glass tiles come in a variety of colors and sizes, we have something for everyone. 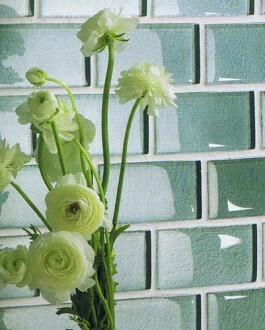 Looking for solid colored glass tile for your bathroom walls and floors, or glass mosaic tile for your swimming pool? Colored on the back so that the color won’t scratch off glass tiles will always look flawless in your bathroom, kitchen or swimming pool. Glass tiles are not only great-looking, but durable and impenetrable as well. Because they cannot be breached by liquids, they are ideal for places that get wet often (such as a kitchen backsplash), and are easy to clean with a wet cloth. They are also resistant to many weather conditions, so they are not confined to indoor use.